This is how to Network Unlock your Samsung Galaxy Gio S5660 cell phone from any GSM network such as Telus, Rogers, Bell and AT&T. When you insert a SIM card that is not from the original carrier, your device will ask for the "SIM Network Unlock PIN". 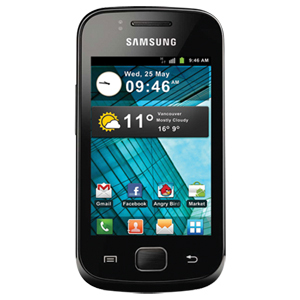 Simply enter the 8 digit Network Unlock Code we email to you and this will permanently unlock your Samsung Galaxy Gio S5660 to be used with any GSM carrier.